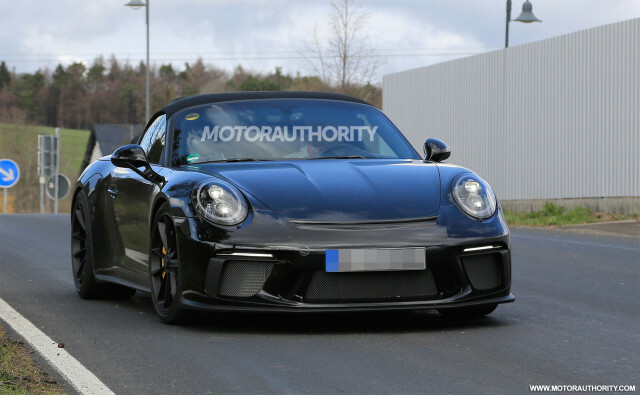 Porsche has done its best to hide the Speedster’s unique design traits but we can see signs of a double-bubble rear deck as well as the car’s more streamlined soft-top roof hiding under a makeshift unit. The windshield is also more raked than on other 911 models from this generation. Next › Elon Musk: Næste Hyperloop-test vil enten resultere i en ny fartrekord eller i "hakket metal"